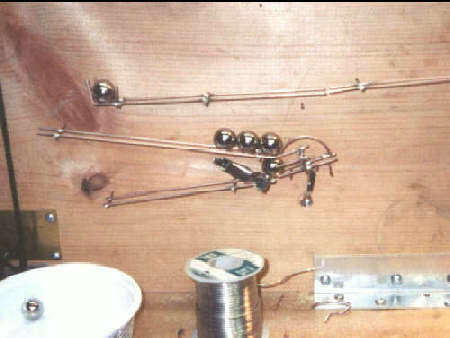 This is an on-line journal of the creation of this "audio-kinetic" rolling ball sculpture (George Rhoads term), to be updated at whim. To include photos, links, of interest to or aiding other RBS Sculptors, as well as of general interest. The sculpture to be tabletop style, using 5/8" diameter balls, perhaps 18"-24" tall. 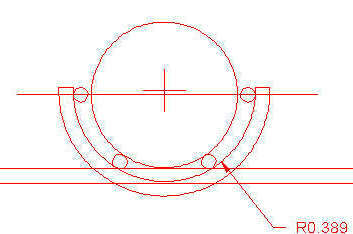 This ball size seems like a good match for 1/16" wire, that's what I've used so far, shown below. This journal aims to document the design and building process of the project. Includes sources for materials used, design choices, tradeoffs, defeats, victories, etc. The project at this point is underway, some notes, computer drawings on Autocad and Cadkey, I've purchased the balls, chain drive and cogs for the lift, some ramp test pieces have been built, a tip-rack accumulator test has been built and is successful. The tipping regulator is a little more tricky. Chain from Serv-O-Link is about \\$4.00 per foot, 1.5" pitch diameter cogs are $.87 each, lower prices in quantity. 1/16" wire is copper-coated steel torch welding rod, from a welding supply house. 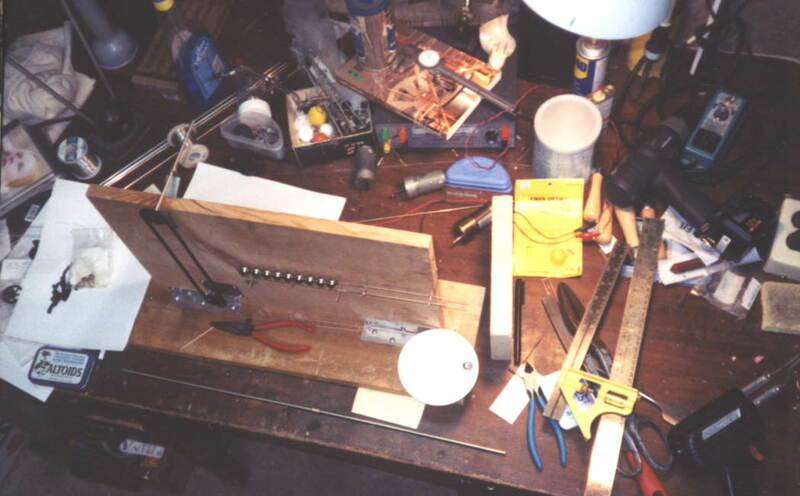 4/7/01 pic of the test bench - the mess begins. 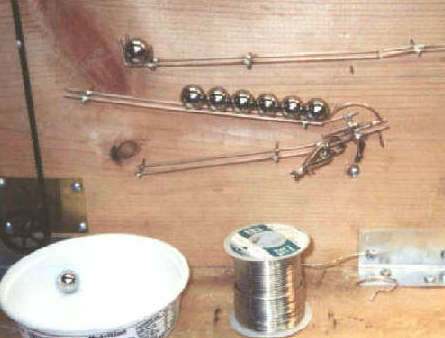 Ball tipping regulator test, with one ball going through. Clip stops ball for demo purposes.